Over the years I have been humbled by the goodness shown to me from many clients. Their gratitude always makes me feel a little shy though, and only a conduit to their inner strength to overcome one of the most powerful drugs on the planet. However I have never been more overwhelmed than this. In recent times I have been providing face to face counselling for women only. Simply because I completely understand the addiction from their point of view, and it has now become all consumi Prior to getting so heavily involved with my practice here, I have spent many hours online helping addicts and problem drinkers from all over the globe. Technology can be heaven and hell, this has been heaven for me. I have connected people who I thought would empathize with each other. To this end, I received a very large parcel via UPS. It is a quilt. So beautiful in it’s construction that I have really not been able to articulate, how much it means to me. 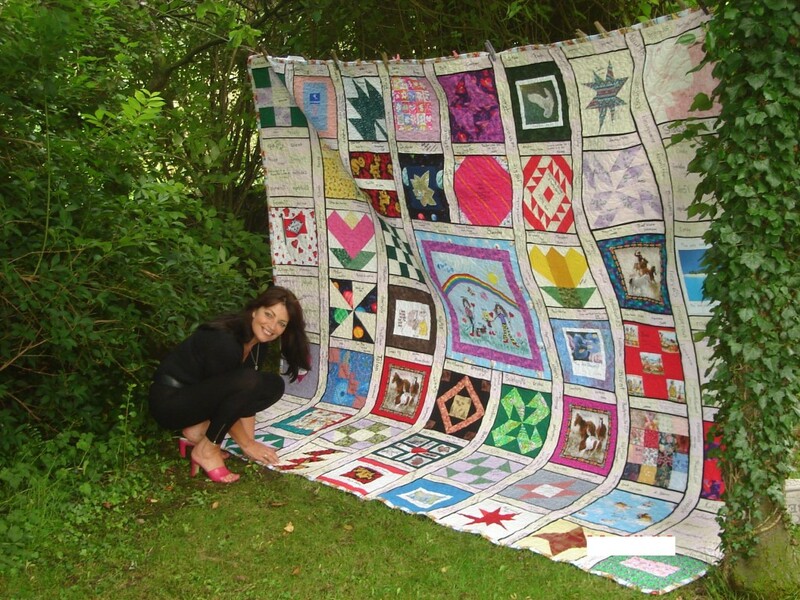 There are over 200 hundred people who have signed little squares of fabric with thanks and inspiration, which then have been painstakingly gathered by one very special woman, who has stitched and sewn this beautiful piece of craftwork, just for me. Tangible, exquisite, and full of love and hope, the two most important words of recovery. I thought I would share, it means the world to me. Absolutely beautiful and clearly a very well deserved gift. Thank you so much, such courage was shown by all on the Quilt, that it will constantly remind me of the power of the human spirit, even through the darkest days.